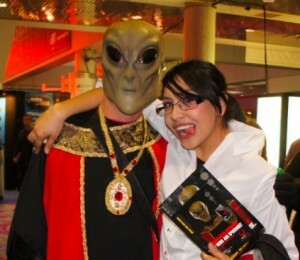 CES Giveaway... The Winners Revealed! 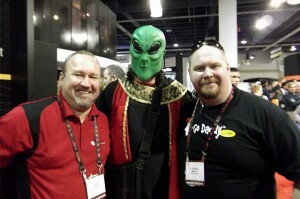 Remember our Apple Gift Card Giveaway at CES? All of those lucky winners who redeemed their prize packs now have their hands on an Apple Gift Card and can spend away! 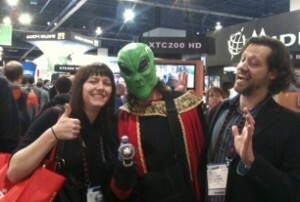 Check out some of our winners with the Voxox alien... Look at the excitement on these faces! Were you a gift card winner and just can't decide what to buy with that $199? Here are some ideas for you... an iPhone 4; two-fifths of an iPad; 4 iPod Shuffles, or an iPod Nano and maybe some accessories... with so many gadgets to choose from, the combinations are endless! Let us know what you bought (or would have bought!) by leaving us a comment or posting on our Voxox Facebook page! 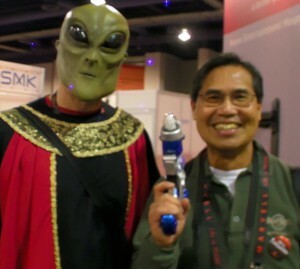 For those who didn't win a gift card at CES, we gave away these sweet laser guns and bendable aliens! To win, we only needed to hear these four magic words..."Speak Free with Voxox!" Jealous? 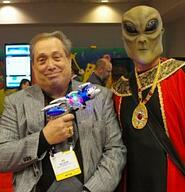 Do you wish you had a laser gun? 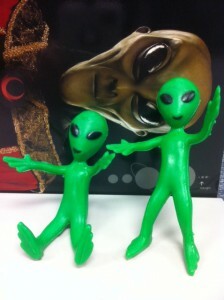 Voxox bendable alien? Or a $199 Apple Gift Card? Well stay tuned my fellow Voxoxers, there are more contests to come! In the mean time, Speak Free with Voxox!